We do not use the normal corrugated cardboard that is used for packaging. 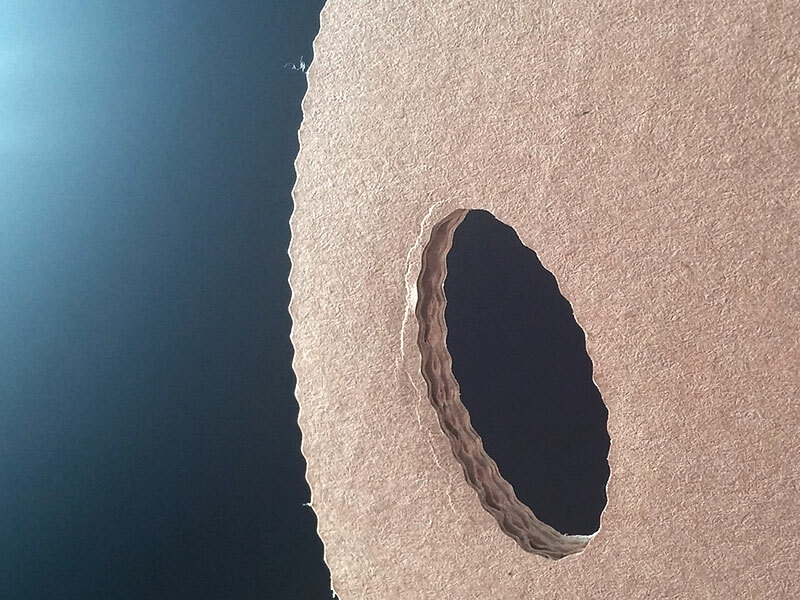 In order to maximize durability and safety, we use only selected eco friendly paper and cardboard, carefully analyzed and examined to avoid harmful ingredients. 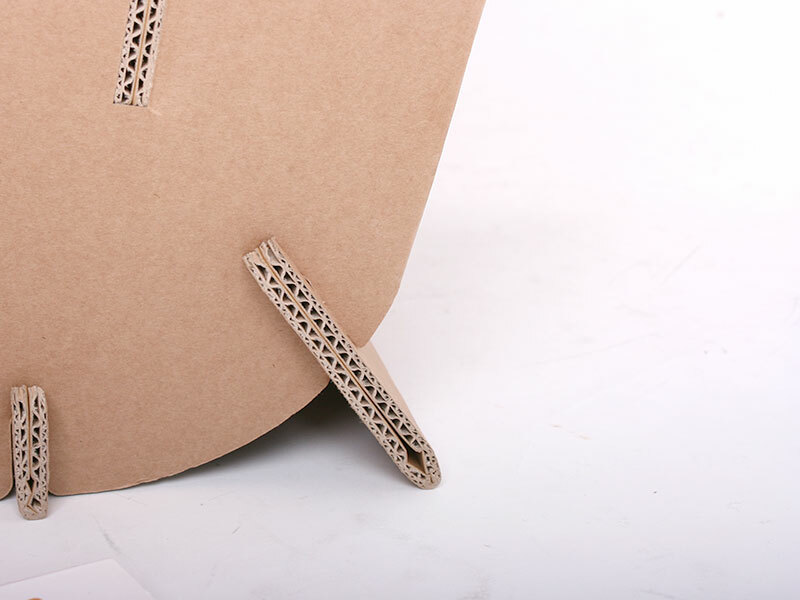 EB/W : Double-wall cardboard, combining E-Flute (1.5 mm) and B-Flute (3 mm) cardboard, enables strong durability for furniture. 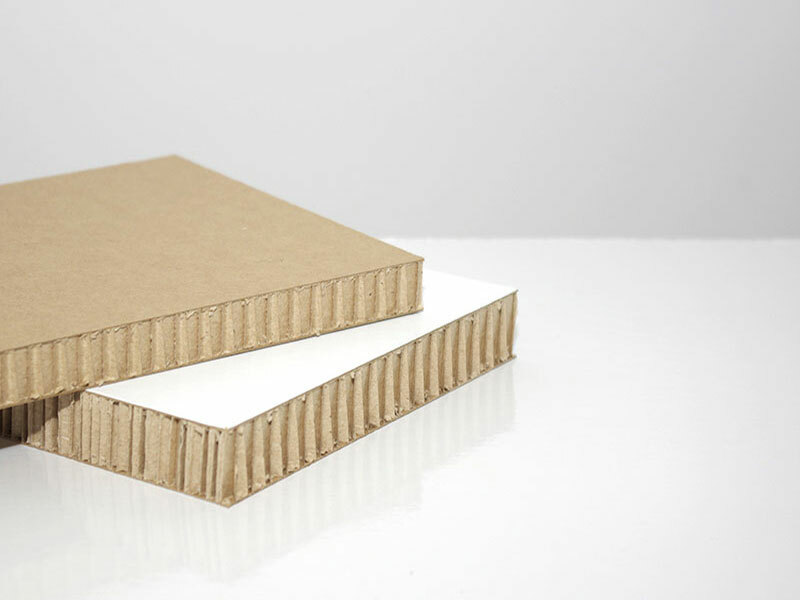 Tri-wall cardboard, combining 3 pieces of A-Flute (5 mm) cardboard with eco-friendly cornstarch adhesives, maintains extra strength and resistance to moisture. 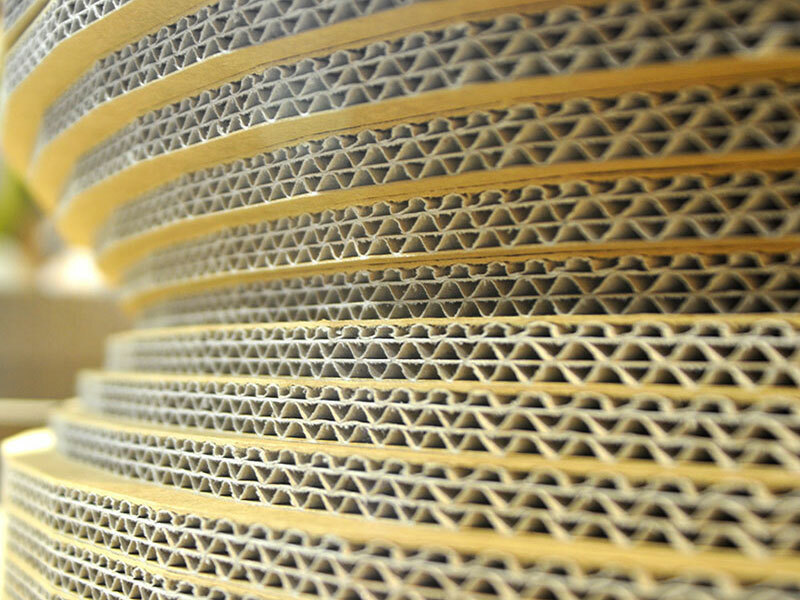 Manufactured in Sweden, Re-board® is a patented rigid paperboard with a unique engineered fluted core. It is incredibly lightweight yet exceptionally strong. Re-board® has good planar flatness and provides thermal insulation and protection from different environmental conditions. An embedded moisture barrier protects the core, and the physical properties remain unchanged in humid conditions. It is durable, contains no harmful components and is form stable. And, because it utilizes water-based adhesives, Re-board® can be recycled as paper in normal waste-paper streams. To reduce the danger of being cut by the paper’s edge, a saw blade provides softened edges.